As the season of gift-giving is vastly approaching, picking the perfect present can sometimes be a pain in the neck. But shopping for your health-enthusiast buddies can now be hassle-free with these clever finds! There are no other gifts truly as impressive as this limited-edition Christmas hamper, showcased in a beutifully crafted wicker basket. Inside lies the most premiuim assortment of delectable ingredients that one could possibly need to create a healthful gourmet meal fit for a king, or indeed a queen. This spectacular gift box was packed to please even the most discerning of tastes, certain to delight each member of the family no matter what age. Overflowing with a bountiful selection of savory snacks, luscious beverages, and easy-to-cook food items, the Family Feast is just the gift to celebrate harmony and happiness inside any home. Christmas is the time of giving, so show your generous side by gifting this lavish box packed with delectable gluten-free goodies. 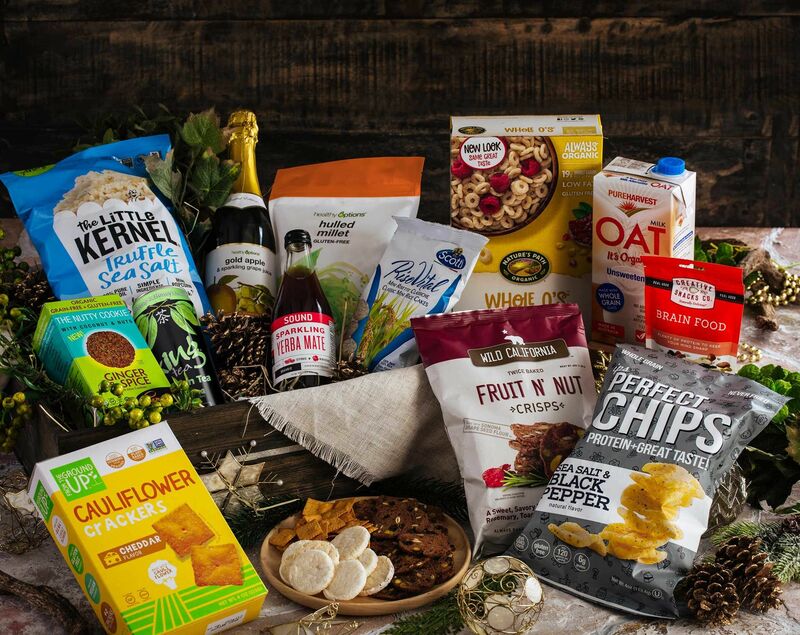 Cravings for crunch and sweetness are satiated no less, with this carefully selected variety of snacks that are perfect for those who are sensitive to gluten or just avoiding gluten in general. Bestow an act of kindness this season and spread the spirit of Christmas with an energy-boosting assortment of snacks for all to enjoy. High-fiber and high-protein food choices are handpicked, not only to provide nutrition, but to restore vitality and joie de vivre as well amidst the count;ess galore of Christmas celebrations. With all the endless holiday parties boasting gastronomic menus, Christmas is a good time to watch one's sodium intake. Show your compassion by choosing a gift that lets your loved ones enjoy all the flavor withoutt the guilt of high sodium content. Let them munch and crunch to their heart's delight all season long.